Like the wines we craft, we are a character-driven, modest mountain winery specializing in handcrafted, small lot wines from grapes sourced in California, that honor our winemaking heritage. If you are living in or visiting the Vail Valley, we invite you to join us in our relaxed atmosphere, raise a glass and share in our award-winning efforts. was raised in a long line of family winemakers. Living on the Jersey Shore in a multi-generation of Italians, he became interested in the winemaking process at the age of nine—helping his grandfather in a traditional home production. During this time, he learned more than how to cultivate a distinct wine; he discovered a deep-seeded passion for a creative process that promotes storytelling and sharing life’s moments with friends and family. These avid vintners produce wines that have garnered numerous annual awards from the Colorado Mountain Winefest Amateur Winemakers Competition spanning the past 10 years. 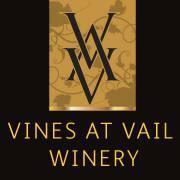 And, in 2014, Vines at Vail officially became a commercial winery. We look forward to expanding our reach and winning more regional, national and international awards as we embark on a new phase in our winemaking journey. From Vail or Beaver Creek: travel west on Interstate 70 to Exit 157 (Wolcott/Steamboat Springs Exit). Turn right off exit ramp, left on Highway 6, then right on Highway 131. Follow Highway 131 North (towards Steamboat Springs). We are located 4 miles up Highway 131 on the right.